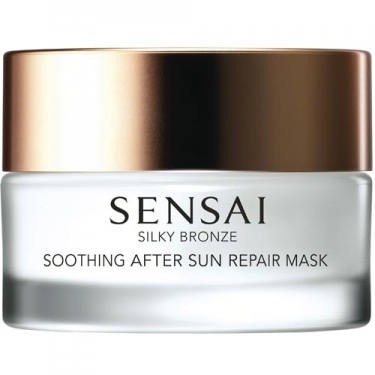 DESCRIPTION: Soothing After Sun Repair Mask from Sensai Kanebo is a soothing gel mask that wraps the skin exposed to the sun, allowing the active ingredients to penetrate and hydrate. Relieves dryness for shiny, radiant skin. Apply to face and body after sun exposure.